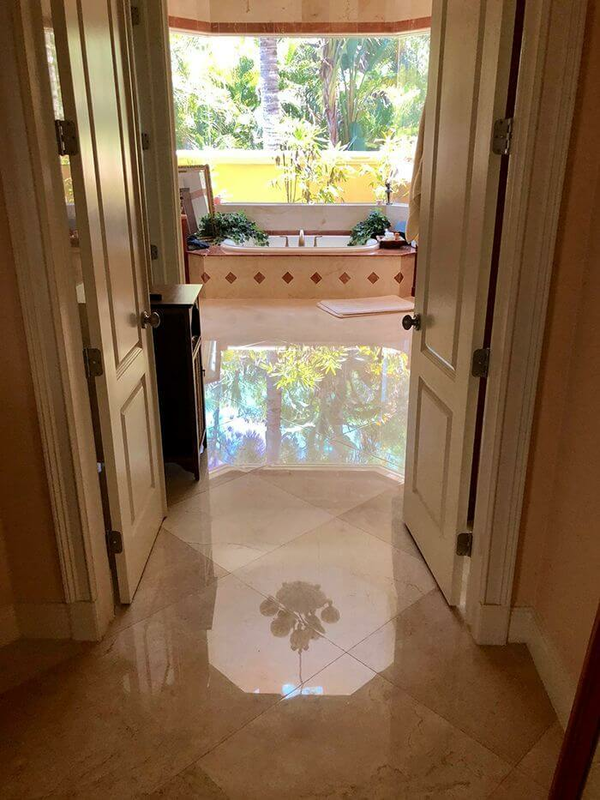 Travertine is one of several natural stones that are used for flooring. It is sometimes known as travertine limestone or travertine marble, these are the same stone, although travertine is classified properly as a type of limestone. The stone is characterized by pitted holes and troughs in its surface. Holes in surface can be filled It can also be polished to a smooth, shiny finish. 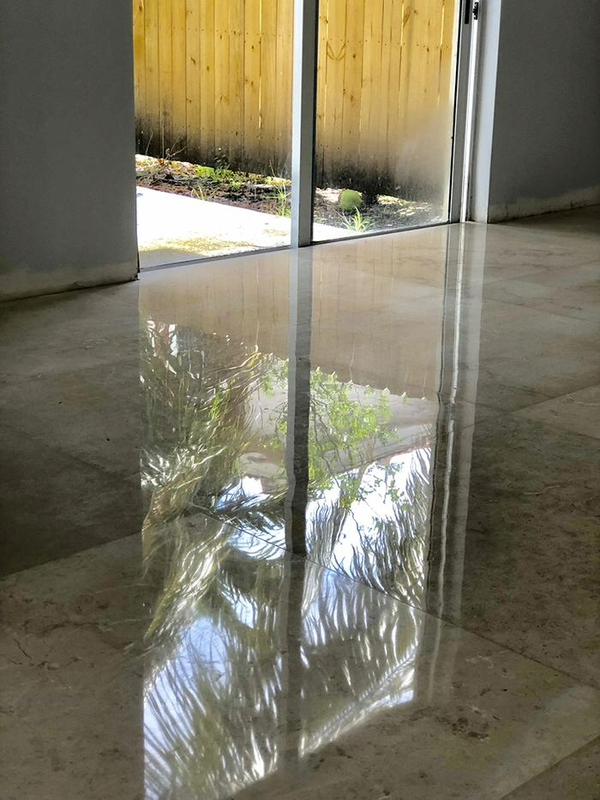 At Great Finishes, Inc. We use specially formulated epoxy and travertine fillers, diamond polishing and state-of-the-art equipment to restore your travertine flooring by filling holes, removing scratches and etch marks from surface. Our diamond polishing is done with a wet Diamond polishing process eliminating dust that occurs when a dry polishing process is done. 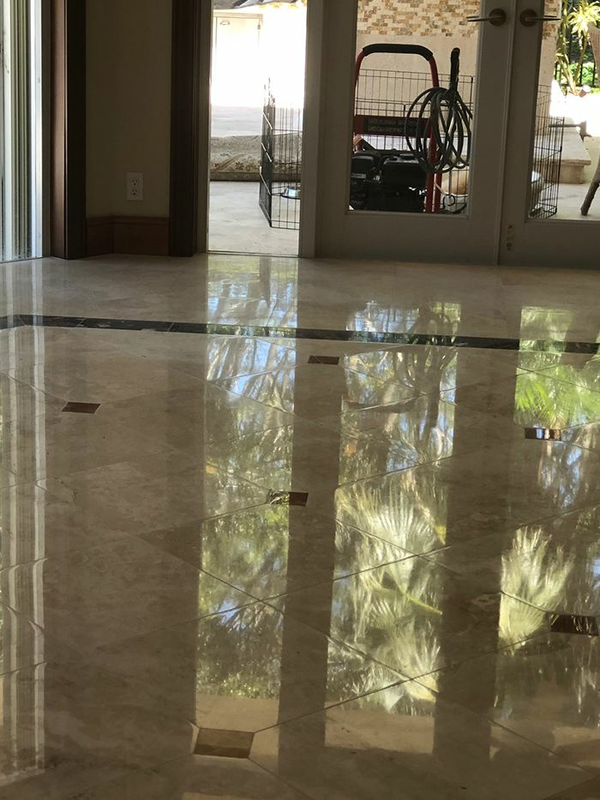 Our natural stone refinishing method involves a thorough process which removes visible scratches and dirt and grime from your travertine floors and countertops. 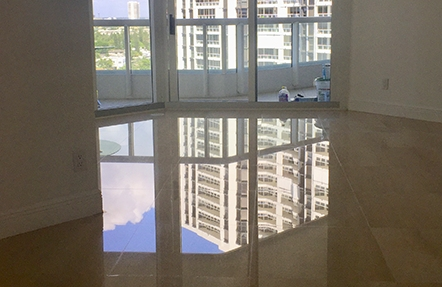 This method is safe to use to restore your travertine, marble, slate, granite, and terrazzo floors.